gerald committed rP499215: Update to the 20180414 snapshot of GCC 9.0.1..
Update to the 20180414 snapshot of GCC 9.0.1.
gerald committed rP499125: The Wine Staging patchset is now available for Wine 4.6.. The Wine Staging patchset is now available for Wine 4.6.
gerald committed rP499061: GCC has two runtime libraries: The static library libgcc.a (-lgcc) and. gerald committed rP498953: Update to Wine 4.6. This includes the following changes:. gerald committed rP498835: Update to the 20190411 snapshot of GCC 7.4.1..
Update to the 20190411 snapshot of GCC 7.4.1.
gerald committed rP498481: Update to the 20180407 snapshot of GCC 9.0.1..
Update to the 20180407 snapshot of GCC 9.0.1.
gerald committed rP498344: Update to the 20180405 snapshot of GCC 8.3.1..
Update to the 20180405 snapshot of GCC 8.3.1.
gerald committed rP498287: Update to the 20190404 snapshot of GCC 7.4.1..
Update to the 20190404 snapshot of GCC 7.4.1.
gerald committed rP497644: Update to the 20180331 snapshot of GCC 9.0.1..
Update to the 20180331 snapshot of GCC 9.0.1.
gerald committed rP497565: Update to the 20180329 snapshot of GCC 8.3.1..
Update to the 20180329 snapshot of GCC 8.3.1.
gerald committed rP497483: Update to Wine 4.5. This includes the following changes:. 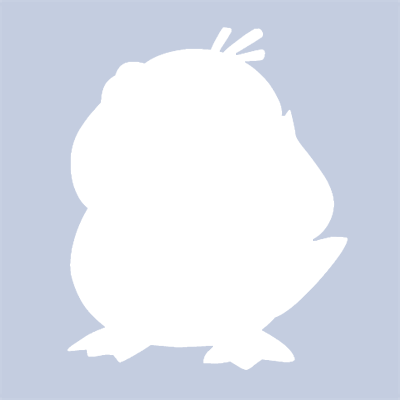 gerald committed rP497254: Backport r496295 | andreast | 2019-03-19 22:03:17 from lang/gcc8-devel:. gerald committed rP497225: Update to the 20190328 snapshot of GCC 7.4.1..
Update to the 20190328 snapshot of GCC 7.4.1.
gerald committed rP496822: Update to the 20180317 snapshot of GCC 9.0.1..
Update to the 20180317 snapshot of GCC 9.0.1.
gerald committed rP496639: Update to the 20180322 snapshot of GCC 8.3.1..
Update to the 20180322 snapshot of GCC 8.3.1.
gerald committed rP496578: Update to the 20190321 snapshot of GCC 7.4.1..
Update to the 20190321 snapshot of GCC 7.4.1.
gerald committed rP496142: Update to the 20180317 snapshot of GCC 9.0.1..
gerald committed rP496113: Revert bogus part of revision 496112; STAGING should not have become a.
gerald committed rP496112: The Wine Staging patchset is now available for Wine 4.4.. The Wine Staging patchset is now available for Wine 4.4.
gerald committed rP496050: Update to the 20180315 snapshot of GCC 8.3.1..
Update to the 20180315 snapshot of GCC 8.3.1.
gerald committed rP495970: Update to Wine 4.4. This includes the following changes:. gerald committed rP495792: Update to the 20190314 snapshot of GCC 7.4.1..
Update to the 20190314 snapshot of GCC 7.4.1.
gerald committed rP495463: Simplify the creation of the multilib-related sub-directory tree on. gerald committed rP495351: Update to the 20180310 snapshot of GCC 9.0.1..
Update to the 20180310 snapshot of GCC 9.0.1.
gerald committed rP495227: No longer require a not too old version of GCC to build on powerpc64, but. gerald committed rP495172: Update to the 20180308 snapshot of GCC 8.3.1..
Update to the 20180308 snapshot of GCC 8.3.1.
gerald committed rP495037: Update to the 20190307 snapshot of GCC 7.4.1..
Update to the 20190307 snapshot of GCC 7.4.1.
gerald committed rP494921: No longer require a not too old version of GCC to build on powerpc64, but. gerald committed rP494789: Update to the 20180303 snapshot of GCC 9.0.1..
Update to the 20180303 snapshot of GCC 9.0.1.
gerald committed rP494676: The Wine Staging patchset is now available for Wine 4.3.. The Wine Staging patchset is now available for Wine 4.3.
gerald committed rP494541: Update to the 20180301 snapshot of GCC 8.3.1..
Update to the 20180301 snapshot of GCC 8.3.1.
gerald committed rP494512: Update to Wine 4.3. This includes the following changes:. gerald committed rP494448: Update to the 20190228 snapshot of GCC 7.4.1..
Update to the 20190228 snapshot of GCC 7.4.1.
gerald committed rP494365: Forward port r442561 | gerald | 2017-06-04 from emulators/wine:. gerald committed rP494220: Backport r488673 | andreast | 2018-12-29 from lang/gcc7:. gerald committed rP494128: Update to the 20190224 snapshot of GCC 9.0.1..
Update to the 20190224 snapshot of GCC 9.0.1.
gerald committed rP494032: Update to the 20190221 snapshot of GCC 7.4.1..
Update to the 20190221 snapshot of GCC 7.4.1.
gerald committed rP493940: After five months of deprecation, mark this port for expiration in two. gerald committed rP493844: Update to the 20180222 snapshot of GCC 8.3.1, the first after the release. gerald committed rP493748: Update to the GCC 8.3 release which fixes more than 153 bugs compared to. gerald committed rP493645: Remove support for USE_GCC=4.9+ and USE_GCC=4.9 from the tree. Nothing. gerald committed rP493569: Update from the Wine 3.0 release series to Wine 4.0..
Update from the Wine 3.0 release series to Wine 4.0.
gerald committed rP493503: The Wine Staging patchset is now available for Wine 4.2, and the build. gerald committed rP493465: Update to the 20190217 snapshot of GCC 9.0.1..
Update to the 20190217 snapshot of GCC 9.0.1.
gerald committed rP493396: Fix an incorrect sed regular expression used in libjava by adding a local. gerald committed rP493245: Update to the 20180215 snapshot of GCC 8.2.1..
Update to the 20180215 snapshot of GCC 8.2.1.
gerald committed rP493152: Update to the 20190214 snapshot of GCC 7.4.1..
Update to the 20190214 snapshot of GCC 7.4.1.
gerald committed rP493046: Update to Wine 4.2. This includes the following changes:. gerald committed rP492866: Update to the 20190210 snapshot of GCC 9.0.1..
Update to the 20190210 snapshot of GCC 9.0.1.
gerald committed rP492758: Bump PORTREVISION for the previous change..
Bump PORTREVISION for the previous change. gerald committed rP492757: Mark this port deprecated. It has been stale upstream for ten years,. gerald committed rP492670: In revision r446382 about 18 months ago antoine@ added a note to. gerald committed rP492590: Update to the 20180208 snapshot of GCC 8.2.1..
Update to the 20180208 snapshot of GCC 8.2.1.
gerald committed rP492498: Update to the 20190207 snapshot of GCC 7.4.1..
Update to the 20190207 snapshot of GCC 7.4.1.
gerald committed rP492439: Remove GCC 5 as an option. That branch went end-of-life upstream. gerald committed rP492357: Now that Wine 4.0 has been released, Wine is in regular development. gerald committed rP492297: Update to the 20190203 snapshot of GCC 9.0.1..
gerald committed rP492243: Add gl to X11_USES since a naked USE_GL=, without also setting USES, as. gerald committed rP492106: On powerpcspe configure GCC --with-cpu=8548 instead of --with-cpu=8540,. gerald committed rP492024: On powerpcspe configure GCC --with-cpu=8548 instead of --with-cpu=8540,. gerald committed rP491920: Update to the 20190131 snapshot of GCC 7.4.1..
Update to the 20190131 snapshot of GCC 7.4.1.
gerald committed rP491795: Update to the 20190120 snapshot of GCC 9, now versioned 9.0.1 in. gerald committed rP491699: Update to Wine 4.0, the actual release, with essentially no real changes. gerald committed rP491612: Update to the 20180125 snapshot of GCC 8.2.1..
Update to the 20180125 snapshot of GCC 8.2.1.
gerald committed rP491562: Forward port r490827 | gerald | 2019-01-21 from emulators/wine:. gerald committed rP491511: Update to the 20190124 snapshot of GCC 7.4.1..
Update to the 20190124 snapshot of GCC 7.4.1.
gerald committed rP491373: Update to lzip version 1.21. This includes the following changes:. gerald committed rP491253: Update to the 20190120 snapshot of GCC 9..
Update to the 20190120 snapshot of GCC 9.
gerald committed rP491148: Restore a simpler and more elegant version of r490816 which was reverted. gerald committed rP491099: Update to the 20180118 snapshot of GCC 8.2.1..
Update to the 20180118 snapshot of GCC 8.2.1.
gerald committed rP491019: Update to the 20190117 snapshot of GCC 7.4.1..
Update to the 20190117 snapshot of GCC 7.4.1.
gerald committed rP490967: Update to RC6 of Wine 4.0 which addresses another dozen or so bugs. gerald committed rP490827: Remove a hack (defining __builtin_ms_va_list and friends) for versions. gerald committed rP490816: Add a new option, GCC, that controls the use of GCC instead of the. gerald committed rP490785: Update files/patch-spe-config (and with that our local adjustments to. gerald committed rP490722: Update to the 20190113 snapshot of GCC 9..
Update to the 20190113 snapshot of GCC 9.
gerald committed rP490681: Update to the 20190110 snapshot of GCC 7.4.1..
Update to the 20190110 snapshot of GCC 7.4.1.
gerald committed rP490679: Update to RC6 of Wine 4.0 with some further bugfixes and an updated. gerald committed rP490678: Update wine-mono-devel from upstream 4.7.3 to 4.7.5 with minor changes..
Update wine-mono-devel from upstream 4.7.3 to 4.7.5 with minor changes. gerald committed rP490521: Move items belonging into the USES block earlier in the Makefile,. gerald committed rP490438: Update to the 20180111 snapshot of GCC 8.2.1..
Update to the 20180111 snapshot of GCC 8.2.1.
gerald committed rP490147: MFH: r490115. gerald committed rP490115: Update ibiblio.org MASTER_SITE which includes a reference to the version. gerald committed rP490057: Update to the 20190106 snapshot of GCC 9..
Update to the 20190106 snapshot of GCC 9.
gerald committed rP489990: Update to the 20180104 snapshot of GCC 8.2.1..
Update to the 20180104 snapshot of GCC 8.2.1.
gerald committed rP489889: Update to the 20190103 snapshot of GCC 7.4.1..
Update to the 20190103 snapshot of GCC 7.4.1.
gerald committed rP488689: Update to the 20181228 snapshot of GCC 8.2.1..
Update to the 20181228 snapshot of GCC 8.2.1.
gerald committed rP488685: Update to the 20181227 snapshot of GCC 7.4.1..
Update to the 20181227 snapshot of GCC 7.4.1.
gerald committed rP488684: The Wine Staging patchset is now also available for Wine 4.0 RC4.. The Wine Staging patchset is now also available for Wine 4.0 RC4. gerald committed rP488645: Update to RC4 of Wine 4.0 which brings only a few additional fixes..
Update to RC4 of Wine 4.0 which brings only a few additional fixes. gerald committed rP488502: Update to the 20181223 snapshot of GCC 9..
Update to the 20181223 snapshot of GCC 9.
gerald committed rP488251: Update to the 20181221 snapshot of GCC 8.2.1..
Update to the 20181221 snapshot of GCC 8.2.1.
gerald committed rP488124: Update to RC3 of Wine 4.0 which brings about two dozen bugfixes..
Update to RC3 of Wine 4.0 which brings about two dozen bugfixes. gerald committed rP488031: Update to the 20181220 snapshot of GCC 7.4.1..
Update to the 20181220 snapshot of GCC 7.4.1.
gerald committed rP487928: Fix up after revision r487864 which added a .info file to pkg-plist. gerald committed rP487787: Update to lzip version 1.20. This includes the following changes:. gerald committed rP487725: Update to the 20181216 snapshot of GCC 9..
Update to the 20181216 snapshot of GCC 9.
gerald committed rP487706: Revert bogus part of r487705 (enablement of the STAGING option by default. gerald committed rP487705: The Wine Staging patchset is now available for Wine 4.0 RC2.. The Wine Staging patchset is now available for Wine 4.0 RC2. gerald committed rP487640: Update to RC2 of Wine 4.0 which brings a dozen or so bugfixes..
Update to RC2 of Wine 4.0 which brings a dozen or so bugfixes.